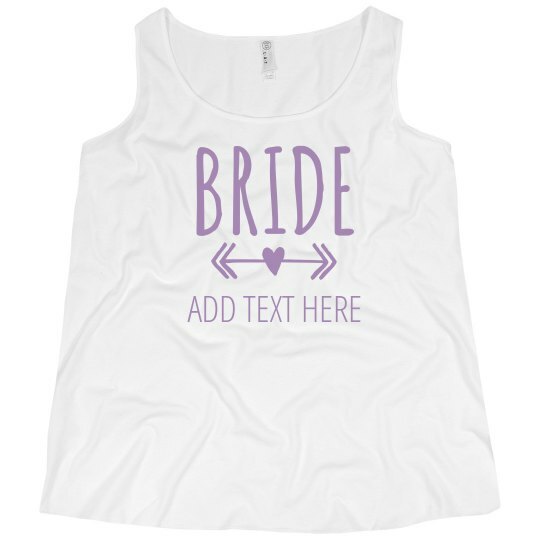 Snag this awesome Bride tank top, to match all of your ladies at your bachelorette party. Hit the clubs as the ultimate bride tribe, and turn some heads! Don't forget to customize this tee by adding your own personalized text.